We are specialist dell laptop service company in porur chennai providing individual customers and business client with quality Dell Laptop Repairs , upgrade services at promptly and timely. 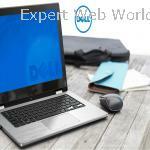 If you are having problems upgrading or your dell laptop is running slow, or not working at all, we can help! we focuses in all types of technical repairs, including chip level servicing also.